Sadly the answer is: Foundation Spam. Put some of them around your base and shipyard and thats it. I went to Lawless Island, build my 6x6 base with two floors (thats the only space i need to have a base) and look around and was impossible to don't have the "put-some-foundations" idea to avoid others to do that spam around my base, so, i choose to be the spammer guy in that spot, but i'm sure there are a lot of space for others players, but yes, spam foundations is something inevitable. Many Gigabytes to update and setup that new claim system, to fail again... A .ini file with less than 1 Kb with the solution: #flaglimitnumber = "Put here a number" Good job dev's. Oh dude! thank you, i didn't know that or maybe i missed that from patch notes. I will travel this night to unlocked discovery points. Thanks again. I'm playing at EU PVE and started in Lawless Island, then i visit like 3 places in that same island but there were no discoveries message and in the Discovery Window, there aren't any unlocked places and says 0/2000 (or the right number) places discovered, BUT, when i go to that place with my pathfinder, is a little text in the upper-right corner in my window that says the name of the place discovered. Is a bug? i already discover that place but didn't count? Thanks in advance for any help. Yes, is possible. Yesterday I started to play on PVE PTR Server and I went straight to the lawless island where i was playing last months, same spot and is quiet and nice, because not depredator animals and a lot of resources. I build my base, my shipyard and put some foundations around to avoid...you know...those toxic players, if somebody are going to spam with foundations that place i choose to be my own. So, yes, living in a lawless island is possible and is enough for players like us. Lastnight, i creat my pathfinder and respawn in one of my favourites lawless island (same spot than my last pathfinder in NA PVE). Everything seems so calm and quiet, so i build my base, shipyard and start to travel. The game seems a little more fluid. I hope to go to a claimed island to see how it works this mechanic, but, for now, lawless it's ok for me. So, that means that i'm going to play and live on lawless zones, without caring about claim land and become in a feudal-lord, like my last 200 hrs playing ATLAS? OK, i'l take it! THIS! Would be awesome to have a kind of contract or a couple of mission to hunt Blackbeard, Morgan and more. Sailing, following some clues and found where they are or go to some kind of freeport, fight against their crew and capture him and send to the Royal Navy and take the reward. Oh dude! you read my thoughts. 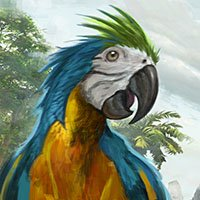 How it's possible that game dev's think about "people will keep playing", if there will be a wipe each couple of months? This game is so HUGE and with a lot of things to do and a huge map for exploration, people put a lot of time and effort getting their stuffs and sailing and explore discovery places for upgrade his character and all the painful taming mechanics...to listen the message from dev's: hey guys, in a couple of weeks, you're going to lose everything. For me, it's ok THIS wipe, is kind of neccesary to clean all the f_cking claim land and to put more islands, and i'm excited to play after wipe, BUT, maybe more wipes in a near future will be a kick in the balls. Glad to read you sir! I was a little disappointed when wipe was announced, it was so hard to got my stuff, after looking for a nice place to stablished, sailing in my raft around the map for 80 or 90 hours until finally found a couple of islands in lawless zone to build a base. Then, i build some ships and discover like 100 places and tame several bears and wolves. I already played +300 hours and is a little annoying to see dissaper all we have and all the effort to got it. But, it's ok if this wipe happend to fix claim system or put some new mechanics, isn't the end of the world, is just that feeling that all the effort you've put in, is going to disappear, even if it's a game in EA. I mean, i want to keep playing, but, if every couple of months there will be a wipe...whats the point to discover places, build your stuff, found and keep valuable resources, armor, weapons and more? Don't say me : "just for the feedback, is an EA game" NO. It isn't necessary to restart everything each 2 months to do a feedback and implement new things. I'm ok with this first wipe, is necessary for the abuse on claiming land, and i will be ready to play when wipe arrives, but, i don't want to put my time and effort in this game, if every couple of months a wipe will happen.